The Bristol Loaf is a new artisan bakery which opened its doors on Church Road on Saturday 10th June 2017. We are an independent company whose mission is to create the tastiest breads as well as savouries, pastries and cakes using only the highest quality, organic ingredients sourced as locally and ethically as possible. 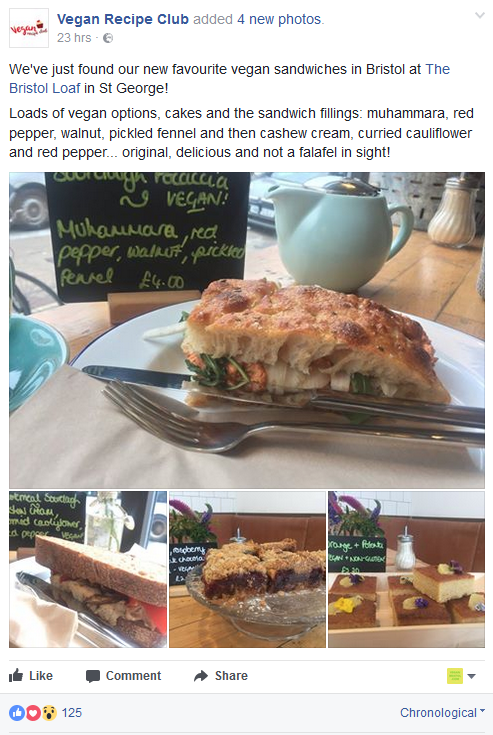 In addition to our more traditional bakes, we also offer a range of vegetarian, vegan and non-gluten products. The bakery is open plan so you’ll be able to see the experienced and highly-skilled team hard at work. The café also offers delicious coffee served by trained Extract baristas, and natural organic wines supplied by Billings & Briggs … Eat in or enjoy a picnic in the park! Our aim is to bake the most delicious breads using traditional methods and the highest quality ingredients. Our organic flour is supplied by Shipton Mill in Tetbury. Our range of savouries will change regularly depending on the availability of seasonal and locally sourced ingredients. Sausage rolls, pasties, tarts, quiche, savoury croissants and stuffed focaccia (#vegan) will be available daily from around 10.30am onwards. A variety of toasties are available throughout the day. Handmade cakes are baked on site daily by our expert pastry chefs. Expect to see a mouth-watering platter of traditional cakes and biscuits as well as a selection of dairy-free and vegan treats.